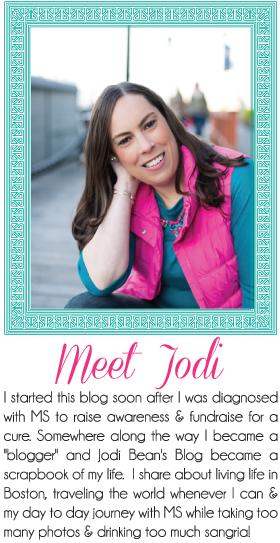 Jodi Bean's Blog: "Dear Boston"
I finally got to "Dear Boston" right before it closed. I'm so glad I got to see it even though it was pretty similar to the original memorial. . . this is more organized and on a smaller scale. It is nice and I'm glad it focuses on all of the positive parts of the tragedy. The original make-shift memorial was on the pavement in Copley Square (photo above). It seems fitting that the Boston Public Library is right across the street where the new exhibit was on display. The way all the sneakers are displayed is so beautiful. Who would have ever thought that dirty old sneakers could be such pretty art!? 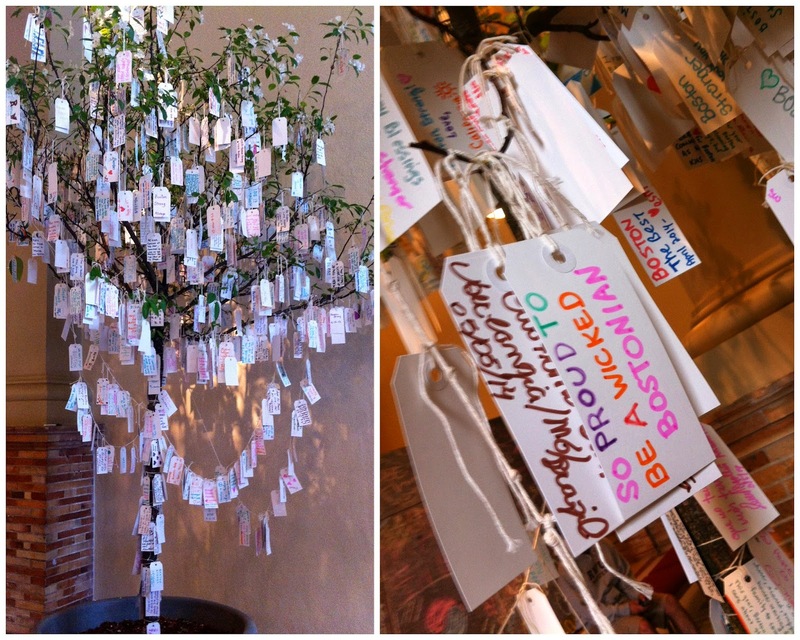 These trees are on display and you can add your own messaged to the tree which I think is such a nice part of this exhibit! I made one. Can you find it?! Believe it or not I had NEVER been inside the BPL. Not sure why. . . it is so beautiful! I enjoyed walking around and checking it out. I even sat down for a little while to charge my iPhone. Everyone else was studying for finals. I don't miss those days! Afterwards I made my way down Newbury Street and it was so pretty out! Finally the flowers and trees are blooming in Boston. It was a lovely afternoon that ended with a Red Sox game at Fenway Park! OMG I think that photo of everyone studying just gave me PTSD about writing my thesis! I used to spend hours there...it's so peaceful. I'm sorry I missed this exhibit, it looks amazing. Oh wow. That is an incredible exhibit. How beautiful and heartbreaking at the same time. This gave me crazy goosebumps. So touching. I wish I had gone to this! Incredible! What an amazing exhibit! 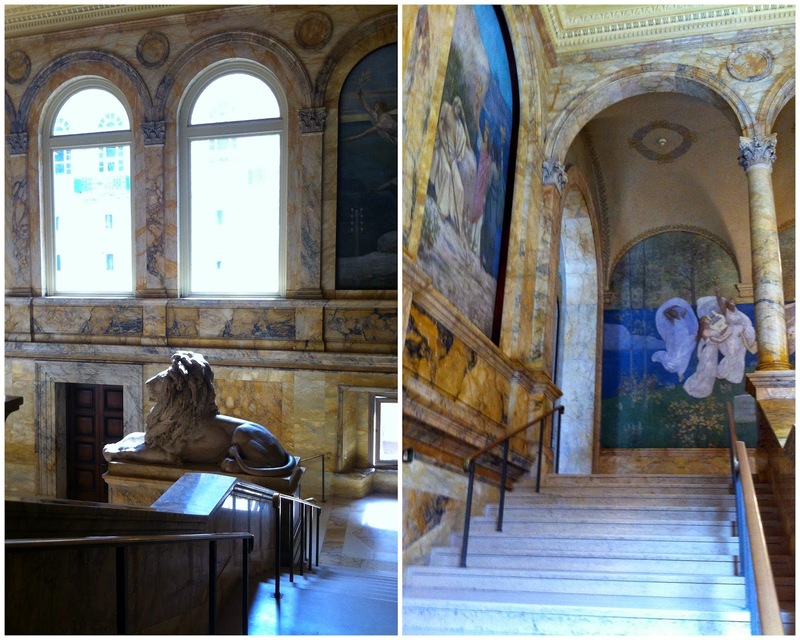 I haven't been to the BPL either, but it looks beautiful.